Last week EPA held a public meeting in DC to share updates and take public comment on the agency’s study of oil and gas wastewater, also known as produced water. The oil and gas industry has grown significantly in water constrained states around the country, like Texas and New Mexico, and has a long history of putting drinking water sources at risk, from California to Pennsylvania. Industry actors are now lobbying Trump’s EPA to allow for expanding the practice of discharging this potentially toxic waste into waterbodies, just two years after the agency adopted new rules to limit produced water discharges from sewage treatment plants from unconventional oil and gas development. Weakening these rules, or in any way allowing for more direct discharges without much stronger testing and treatment requirements could turn back the clock on water protections from oil and gas drillers to a time before Clean Water Act programs began reining in this source of pollution. I delivered a modified version of the comments below at the public meeting on Tuesday October 9, 2018 re: Docket ID No. EPA–HQ–OW–2018–0618. Co-written with John Noël. Thank you for the opportunity to provide these comments on EPA’s produced water study. My name is Andrew Grinberg, National Campaigns Special Projects Manager for Clean Water Action. Clean Water Action appreciates the effort by EPA staff to better understand the issues surrounding oil and gas wastewater and are hopeful that this study leads to better protections for water in the future. Onshore oil and gas production creates a massive waste stream that has caused problems across the country. In my home state of California, a century of inadequate oversight has led to numerous issues with produced water discharge, including injection into underground sources of drinking water, and surface discharge into open pits that has contaminated high quality groundwater and destroyed cropland. These examples highlight the problems that can arise from inadequate oversight and protections from produced water management. Requiring oil and gas operators to better account for water limitations in their business models, rather than supporting expansion plans and weakening oversight and protections. First, as EPA moves forward with this study, it must clearly define data gaps in the understanding of produced water chemistry and impacts. Significant knowledge gaps exist in the chemical additives, natural formation chemicals, treatment efficacy and chemical reactions of produced water. In order to further explore surface disposal options, these gaps must be closed. For example little information is collected on chemical additives used in routine well operations. While progress has been made in understanding hydraulic fracturing fluid chemistry, not a single state collects comprehensive information on other fluids used in oil and gas wells, such as for routine maintenance or cleanouts. Additionally, hundreds of naturally occurring chemicals in formation fluids are poorly understood. As noted in the recently published Centralized Waste Treatment study by EPA, the majority of these lack EPA approved analytical methods and/or health impact information. Filling these gaps must be a primary goal of any legitimate study on this topic. 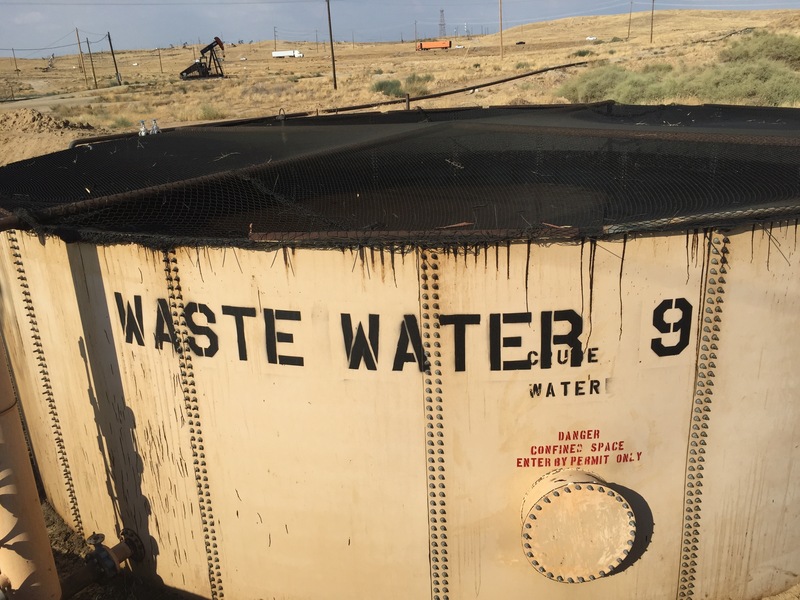 Operators currently have a number of disposal options available, including, Class II injection wells or discharging to Centralized Wastewater Treatment facilities. These options have absorbed enormous amount of wastewater during the shale boom. EPA, however, should note in this process that the current CWT technologies are in many ways inadequate to safely treat all oil and gas waste. EPA’s CWT study reported that there are “documented and potential impacts to both aquatic life and human health” from discharges at these facilities. The study also reports that discharges from CWTs that accept and attempt to treat oil and gas wastewater could impact drinking water intakes downstream. Operators can also still discharge conventional wastewater to publically owned wastewater treatment facilities (POTWs). But again, EPA’s own analysis concluded in 2015 that POTWs could not safely treat wastewater from unconventional resources and appropriately assigned a zero discharge to the outdated practice. Conventional and unconventional wastewater share many of the same chemical characteristics, and therefore pose many of the same threats to drinking water. The distinction between conventional and unconventional oil and gas production has several definitions depending on the agency, rule or location. These definitions range from considering the formation, to the production/stimulation technology used, to various geologic resource characteristics. Nowhere is differentiation based on produced water composition. Therefore the two classes of produced water should not have different discharge standards. Accordingly, as EPA evaluates current treatment practices, the Agency should move forward with a similar zero discharge standard for conventional waste to POTWs that mirrors the zero discharge standard for unconventional waste. Recent research has revealed that in many shale basins, water use per well increased up to 770% from 2011-2016. Produced water volumes generated within the first year of production increased 1440%. In Ohio and West Virginia, the rise of “Super Laterals” present a new set of risks for public health and the environment due to increased water usage and wastewater generation. These wells can exceed 20,000 feet, and use more than 85 million gallons each. A recent paper on these wells equated this water usage to the annual water demand of 2587 Americans and that, even with the assumption of a low return to surface rate of 12%, an 85 million gallon lateral “would likely produce 9.8 million gallons of liquid waste, which is equivalent to the total amount of water in 15 Olympic sized swimming pools.” This figure does not include formation water brought to the surface during production. EPA’s mandate is not to help the industry cope with ecological limitations that arise from changing practices and resource availability. Instead, EPA must work to uphold its statutory mandates under the Clean Water Act and Safe Drinking Water Acts to protect surface and groundwater. The responsibility should fall on industry operators to better manage their operations to fit in the limits of our water and climate constrained realities. However, it appears that industry actors intend for this current study to create an opening to repeal the zero discharge standard from POTWs. The Independent Petroleum Association of America (IPAA) Executive Vice President Lee Fuller sent this as a direct request to EPA Chief of Staff Ryan Jackson in an email on April 6, 2017. (Search term "unconventional" on that linked page to find relevant email.) Through that lens, these current proceedings look like EPA following through on IPAA’s request in line with the current administration’s “Energy Dominance” agenda, which is designed to remove all perceived barriers to fossil fuel extraction at the expense of public health and the environment. In light of persistent drought conditions in many of the top oil and gas producing states, and shifting precipitation and population trends, EPA should work with state water boards and water agencies to develop new strategies to mitigate industry wastewater conflict and potential contamination by prioritizing drinking water and ecological requirements. These polices must step beyond the industry’s preferred route of loosening protections in order to improve extraction economics. Instead, regulatory agencies, including EPA must develop policies to bring oil and gas production back in line with water acquisition and disposal capacity limits. If operators are having problems with existing legal authorities and disposal options utilized for decades – that is their problem and EPA must not aid in the weakening of standards to enable their flawed business model. In order to adequately protect public health and the environment, as is EPA’s mission, the Agency must sidestep the common response to never-ending industry complaints. We look forward to EPA advancing policies that improve protections from produced water, rather than weakening them, and urge this study to support that goal.